Great looking suit for my 10 year old who likes to wear a suit for church and special occasions. Nice fabric, good styling, my only complaint is the ridiculously cheap tie it came with. If that's the quality tie you can include, don't bother. 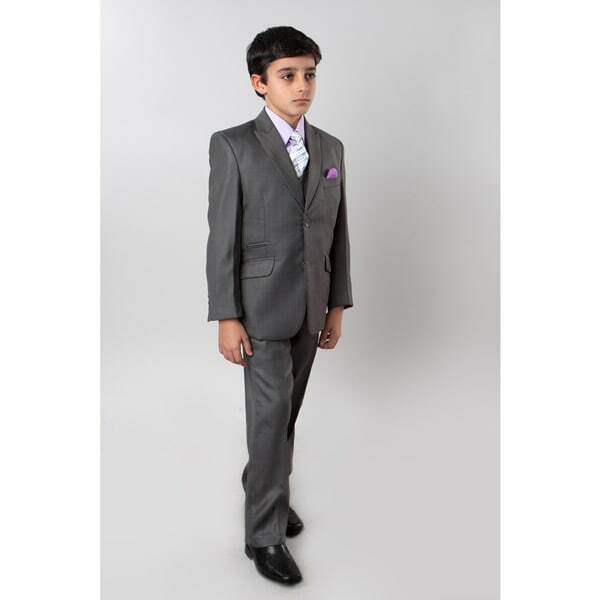 Prepare your child for his first formal event with this boys' five-piece suit with a matching shirt and tie. This suit comes with a bag to protect it from dust between uses.